Our Oban Club campsite on Scotland’s west coast enjoys a beautifully secluded location hidden in a glorious Victorian walled vegetable garden. The sheltered, level campsite is next door to Sutherland’s Grove, a Forestry Commission woodland criss-crossed by colour-coded walks and cycle paths. This well-maintained, 75-pitch campsite has excellent, modern facilities including a parent and child room, washing up area and a newly refurbished toilet. 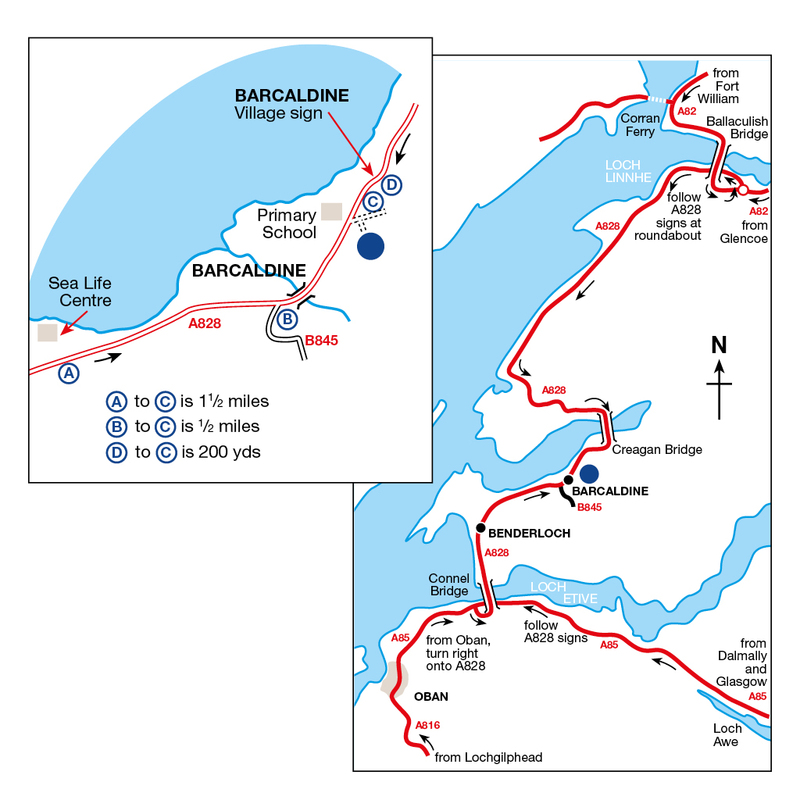 Opposite the campsite is a marina with a little beach you can walk along.There’s a sandy beach at nearby Benderloch and the wonderful family friendly Ben Lora cafe and bookshop comes highly recommended. Take the path opposite up to the summit of Beinn Lora and you'll be rewarded with fantastic views across to Mull. Oban, known as the seafood capital of Scotland, is 13 miles to the south of the campsite. The town is renowned for the variety and quality of seafood landed in the harbour, not surprising there are numerous great seafood restaurants in and around the town centre. Oban also boasts its own malt whisky distillery and several local micro-breweries. You can take a ferry from Oban to the Western Isles, or visit Dunollie Museum and Castle and the Oban War and Peace Museum. Further south, the island of Easdale is well worth a drive for the breathtaking views over the Firth of Lorn. Please note that there is a height restriction at site entrance (arch) of 3.4m ( 11ft 2in). Oban boasts several seafood restaurants where diners can choose dishes prepared from a wide range of locally sourced shellfish. The nearby Creagan Inn is popular with site visitors and has spectacular Loch views. Constructed before 1240 on a rock above the Firth of Lorn, Dunstaffnage Castle is a partially ruined fortification that was a stronghold for the Macdougalls lords of Lorn. Marvel at the daunting curtain wall, one of the oldest standing castle remains in Scotland. Set on a peninsula on the isolated Loch Awe in Argyll and Bute, Kilchurch Castle is a breathtaking fortress built in the 15th century by Sir Colin Campbell. One of Scotland’s most photographed mountains due to its pyramidal shape, Buachaille Etive Mor stands proudly in the heart of the Highlands. The mountain was used as a filming location in the James Bond film, Skyfall. A glorious campsite location at the foot of the Scottish mountains.